Age Limit: Candidates age limit should be between 22 to 35 years for Post No. 01 & 22 to 25 years for Post No. 02 to 06. Educational Qualification: Candidates should possess Degree in Telecommunication/ Electronics/ Electrical Engineering for Post No. 01, B.Sc in Physics and Maths for Post No. 02, 04 & 05, B.Sc in Physics and Maths or Diploma in Radio Telecommunication Engineering for Post No. 03 & ITI in Fitter, Electrician or Diploma for Post No. 06. Selection Process: Candidates will be selected based on physical test (PMT & PET, PST), written exam & interview. Application Fee: Candidates should pay Rs. 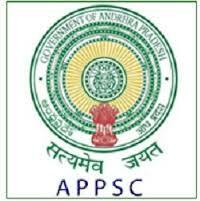 1000/- for General, OBC, EBC candidates, Rs. 750/- for SC/ ST Candidates of Rajasthan State and Rs. 1000/- for all candidates other than Rajasthan State with Online Charges 30/-.through cash deposit on E-Mitra Kiosk or Jan Suvidha Kendra (C.S.C). How to Apply: Eligible candidates may apply online through the website www.police.rajasthan.gov.in from 21-11-2016 at 12:00 hrs to 21-12-2016 (Extended Up to 05-01-2017) by 12:00 hrs. Last Date to Apply Online: 21-12-2016 (Extended Up to 05-01-2017) by 12:00 hrs. 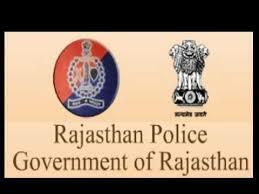 How can i apply online for Rajasthan Police Recruitment 2017 on the official website. when will the application forms will started. what is the qualification and selection procedure for it and also tell me about the vacancies or posts released by the organization. What is the last date of application form. Here we come with fantastic news, All those aspirants who are looking for Rajasthan Police Recruitment 2017 Online form since long time, they can download it forom the official website. All the essential information related to selection procedure, age relaxation, qualification are available on the official advertisement. Candidates must visit the official website before applying online.